Mercy Housing residents at Francis Peak View are feeling very grateful this year for the new partnership with Bountiful Food Pantry. This location is a 120-home, multifamily property located between the Great Salt Lake and the foothills of the Wasatch Range. While beautiful scenery is abundant in this part of the country, for many Mercy Housing residents, access to proper nutrition is not. 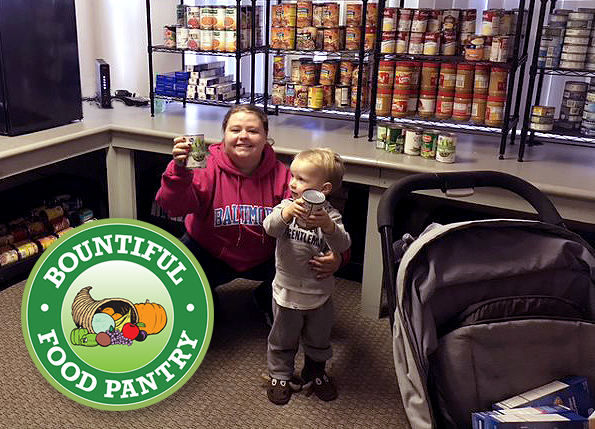 This past June, Francis Peak View and Bountiful Food Pantry began a new partnership to relieve hunger and ensure all families get the proper nutrition they need through supplemental food deliveries. Sign-up for this resource is fast and easy for residents who simply text, email, or use the sign-up sheet in their local mailroom to make an appointment. Food deliveries are scheduled every other week and contain a variety of food options. In the winter months, residents can expect a lot of nonperishable items such as tuna, beans, fruits, and peanut butter. Bread, rolls, pasta, eggs, cheese, and frozen meats and vegetables are also available. The summer months typically bring in more fresh produce. Hannah, Resident Services Coordinator at Francis Peak View, has seen the positive impact it has made on the lives of families there since the partnership began. Aside from just stocking the pantry, Bountiful Food Pantry has also been an instrumental partner in supporting many other programs at Francis Peak View — providing snacks to children in the Out-of-School Time program and supplying extra food for the summer cooking classes, just to name a few. A recent grant from CenturyLink has also helped Francis Peak View expand their capacity to serve more residents in need. The funding allowed for the purchase of new shelving and refrigerators, which made it possible for them to accept more food items and have a full-time food pantry onsite.